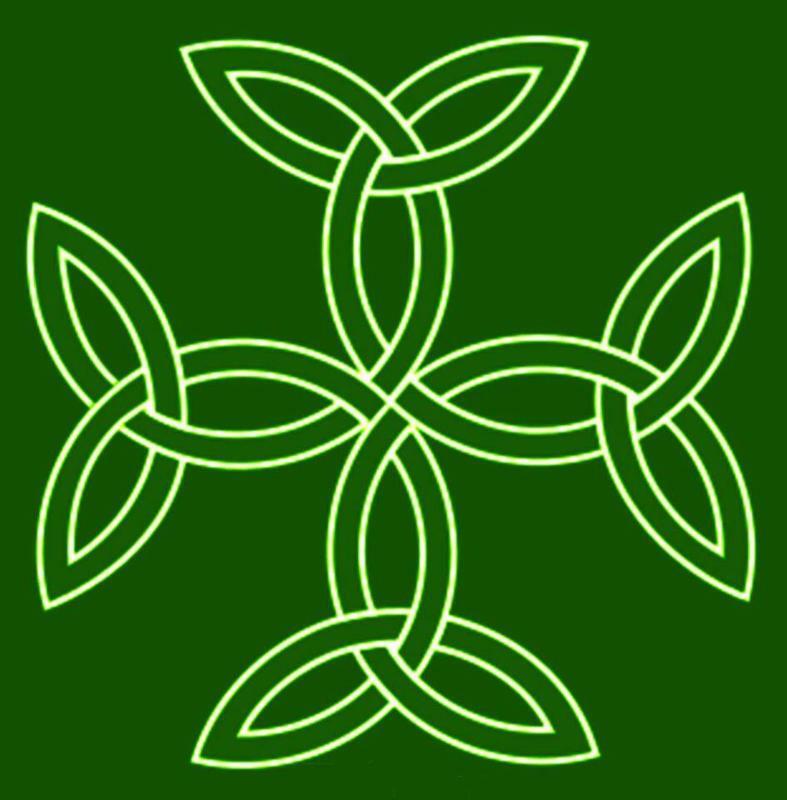 Welcome to our online version of Trinity Tidings. Our Children’s Easter Celebration will be Saturday, April 13, from 1:00-3:00 pm. There will be crafts, snacks, a sharing of the Resurrection story, and an egg hunt—because we know that will make children want to come! We hope to have an old-fashioned cake walk if there are folks willing to provide cakes and cupcakes. This celebration is not only for our children, but is intended to be an outreach event in the spirit of our missional efforts. We will be promoting this event in the community, inviting those who have attended VBS here, and sending an invitation to those who participate in the basketball program. Who knows how many children and families might be coming to our church that afternoon! To make this event successful, we need your help! We will need lots of eggs! There are bags of two dozen plastic eggs available at the Welcome Center—or you can purchase your own. Please pick up one (or more!) bags, fill the eggs with candy, stickers, trinkets, etc. and return them to the Welcome Center or to my office by April 7 th . We also need donations of cakes or cupcakes. We will need volunteers to help with crafts, serve snacks, hide eggs, and just meet and greet those who come. Please let me know if you are willing to be part of this outreach ministry. Easter is almost here! Soon, Lent will draw to a close and the celebration will arrive! The joyful celebration of the empty tomb is so wonderful and so exciting for us. Easter means new life and new possibilities! It means a new way forward for those who thought all was lost and that the end had arrived. Jesus’ resurrection took everyone by surprise, even those closest to him. It still surprises us! Before his resurrection death was the limit of reality, but now Easter means the story is not yet over; God’s story is not at an end but has in fact turned the page into the future. The resurrection means the story continues; Jesus is not dead but is alive forever more! The Gospel is ongoing! Scripture invites us to frame our living in this way, and to form our discipleship not on past events, but on the dynamic reality of God at work RIGHT NOW! For the last several months we have journeyed through the Gospel of Mark in worship. One of the most prominent themes in Mark is how often the disciples struggled to grasp who Jesus was, and what he was revealing for them. In fact this theme is continued to the very end of the Gospel account. Indeed, Mark’s Gospel account initially appears to have had a curious and abrupt end. Unlike the other Gospels, the likely original ending of Mark’s account detailing the resurrection and empty tomb appears to offer more of a question than it does an answer. So, there are copies of Mark dating back to the first and second centuries that have the manuscript ending at verse 8. And, there are copies that include verses 9-20. I am persuaded that Mark initially ended at verse 8. Such an ending extends his narrative style of telling his Gospel account by constantly challenging the reader to decide who Jesus is for them! The abrupt nature of stopping the story in such a way poses a question for the reader: will the women, the disciples, and the reader, tell the story of the resurrection, or will it end with them? In other words, will the story continue in the lives of those who believed in Jesus? 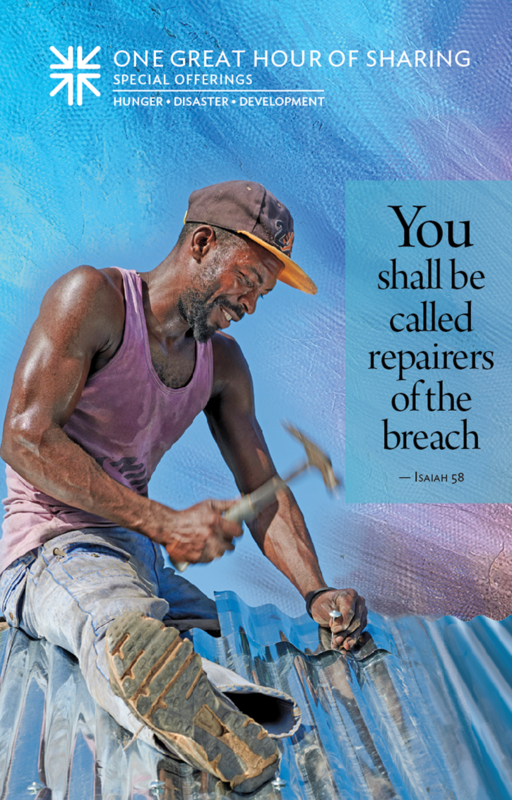 Through the resurrection of Jesus Christ God has continued the story, but will that reality continue in the lives of his people? That was the question back then, and it is still the question today for each of us! Does the account of the resurrection continue in your life? Is your life different because Jesus is alive? How would it be different if you did not believe that reality? It is tempting for us to live ignoring the reality of the resurrection, to accept the limits of reason, to accept what seems humanly possible as the only reality. It is easy to simply live within the closed boundaries of human life in which we are born, live for a time, and when we die that is it! But God’s story continues! The tomb is empty, and so is the threat of death. God has conquered it! Death is not the end of the story. Following the example found in Mark’s Gospel, this Easter I invite us to take time to think about how the resurrection story continues in your life. What difference does it make? Are you willing to risk living in the new reality of the resurrection? Or, are you content to live in a closed reality that is logical and predictable but ultimately meaningless? God gives us the freedom to willingly continue the story. May we live it out! We have new serving opportunities for you! 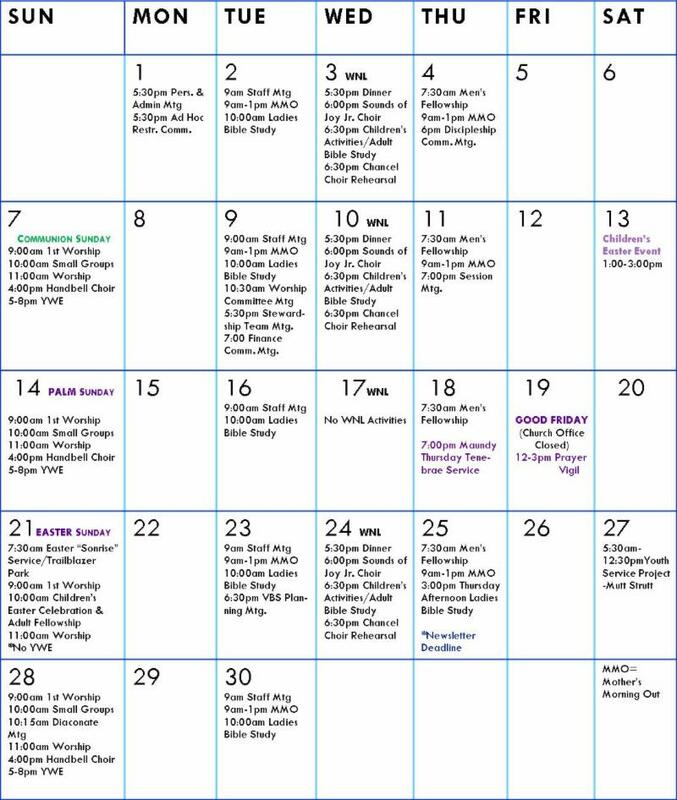 Our new schedule has an open spot for you! 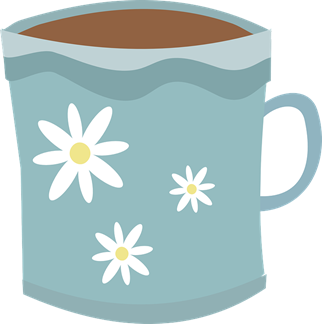 Please join our team delivering homemade Friendship Tea to our local Trinity visitors. We would also appreciate your help behind the counter of Trinity’s new Welcome Center in the corner of the Narthex, just before & after Sunday services. All you need to bring is your smile! The Evangelism Committee & other Trinity programs will have information for you to pass along to visitors and members. 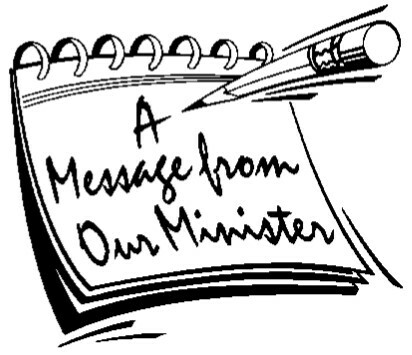 Thank you for your continued support for this ministry. CURRENT NEEDS include: Canned Meat, Canned Tomatoes, Tomato Sauce, Macaroni & Cheese/Pasta, Jelly and Plastic Grocery Bags. Please note donations are now being collected in the Narthex at the Welcome Center. 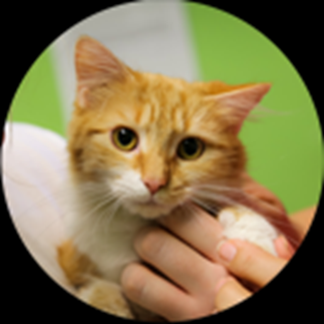 This is a plea for help for the large numbers of kittens and puppies at the Greenville Humane Society. Bedding is needed. Please bring your newspapers (Newsprint only; NO slick pages please!) to McKinney Hall and put them in the box beside the grocery cart. Tom McCorkle will deliver them for us! Thank you so much for your many prayers for our family in the recent death of my mother, Grace Potter. They were felt and so appreciated. Thank you so much for the beautiful flowers and prayers during Jerry's recent hospitalization. We cherish all our prayer warriors. We felt God's presence. A heartfelt “thank you” to my Trinity Family for all the prayers, cards, lovely flowers, visits and food during my recent chemo treatment and recuperation. Your kindness means so much to us. It is almost spring cleaning time and we know that there are items in your home that don’t pass the “brings me joy” test! Trinity’s Youth will be happy to accept those unwanted and unneeded items for this year’s tag sale! 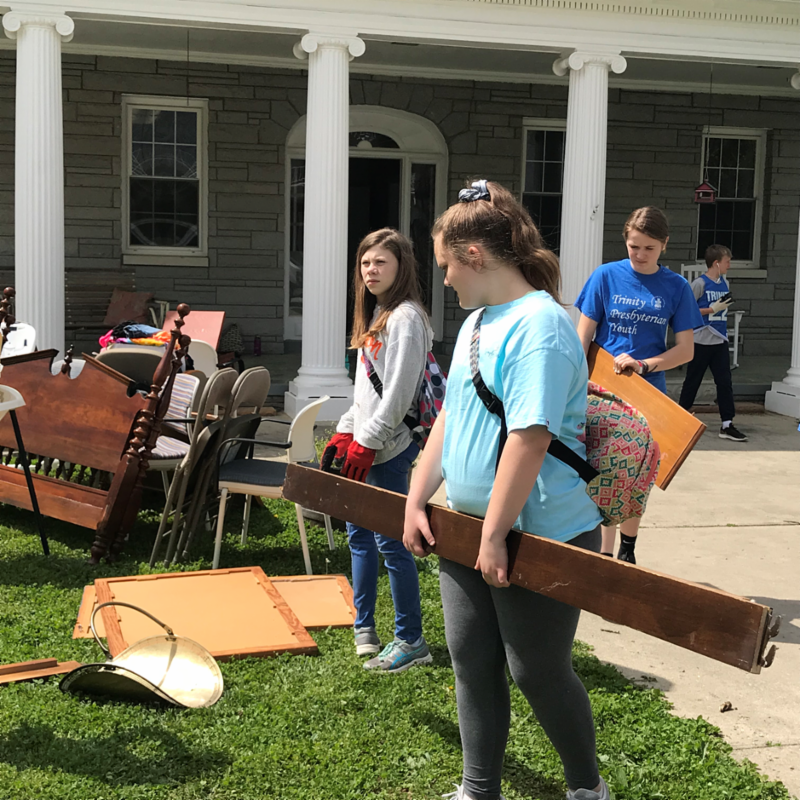 The Trinity Tag Sale will be Saturday, June 8, 2019, from 8:00 am until 2:00 pm. We will accept almost anything, but we are unable to accept used mattresses, older model televisions, or aquariums unless you are willing to resume possession of them if they do not sell. 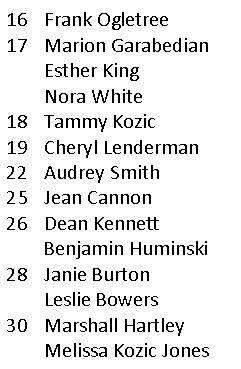 (These are items that Miracle Hill will not pick-up from us if they do not sell.) Items may be delivered to Room 204 (the room labeled Presbyterian Women’s room). We have pick-up available for larger items or for those who need assistance with boxes. Receipts will be provided for tax purposes, upon request. All proceeds from the tag sale will support our Youth mission trips this summer. hangers and plastic or paper grocery bags! 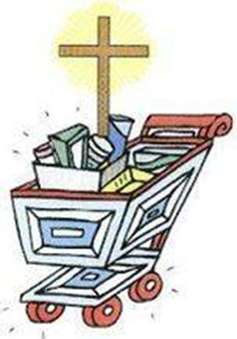 One Great Hour of Sharing Special Offering will be collected on April 14 and 21, Palm Sunday and Easter Sunday. This offering helps Presbyterian organizations around the world such as Presbyterian Disaster Assistance and the Presbyterian Hunger initiative. Please join us in supporting this offering. Special envelopes for your use will be in the bulletins. 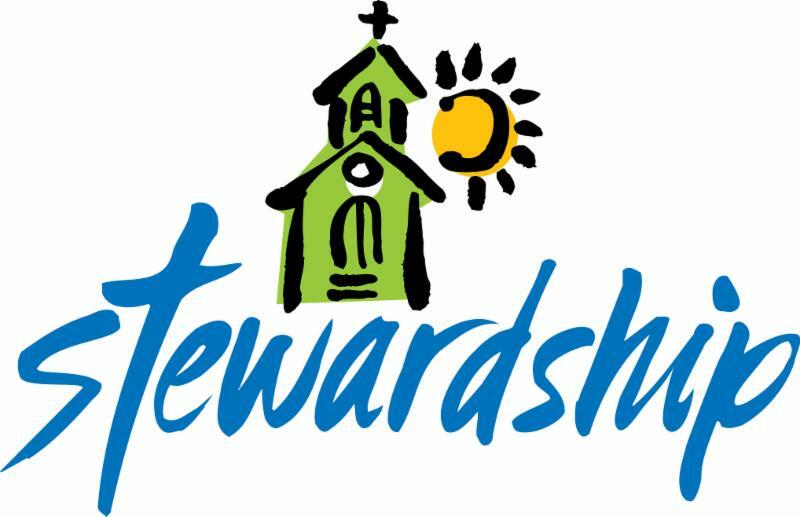 Welcome to the April issue of “Stewardship Corner”- commentary on all things stewardship. This issue highlights both an inspirational message and commentary on methods of giving. It is always enjoyable to see those who use their talents here at Trinity. The Handbells have been a great addition to our Worship service lately. It is exciting to see the younger and older sharing their gifts with us. We note also that we are so blessed with the ways our church family shares their monies with us and with our missions. This is a special privilege we have all been given, not out of duty, but out of a grateful and thankful heart. As we celebrate Easter here and around the world, let’s continue to share the good news of our Resurrected Savior with family and friends and those who are all around the world. Last month we began a discussion of the “Qualified Charitable Deduction” [QCD] and the advantages that it may offer to seniors age 70.5 and older who receive Required Minimum Distributions from an IRA. For those who qualify, it may be an opportunity to contribute to a qualified charity [read “Trinity”] using pre-tax dollars. You should talk to your tax advisor or plan administrator to see if the QCD might benefit you. 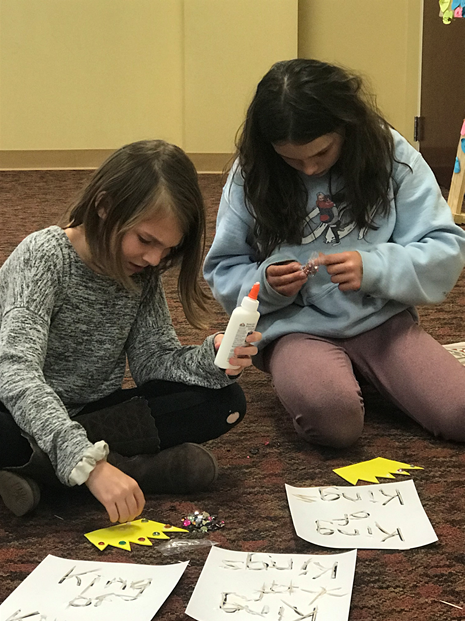 In an effort to better accommodate congregational giving preferences, Team Stewardship is evaluating some new giving methods for introduction to the congregation. Look for a May announcement. 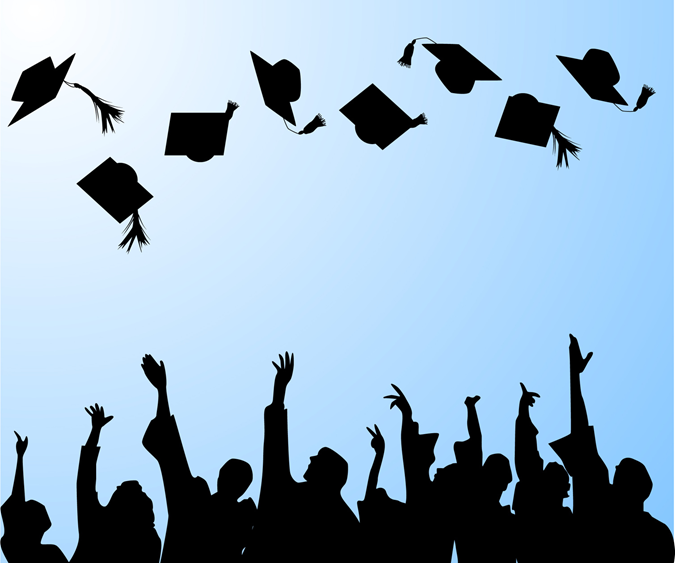 Our Graduate Recognition Sunday will be May 12, 2019 in the 11:00 am service. If you have a December, 2018 or Spring 2019 high school or college graduate in your family, please submit a brief biography and a photograph to the church office by May 1st . There will be a reception to honor our graduates in McKinney Hall between 10:00-11:00 am. We look forward to celebrating the accomplishments of our youth and young adults! One of Trinity's local missions needs some help. Heartland East of Greenville nursing home has a one hour bingo game on Saturdays at 10:30 A.M. The residents love to play but occasionally need a bit of assistance. Can you spare the time to brighten their day? If so please call the Activity Director, Mrs. Linda Crotts, at 371-3504 for details. Scripture passages to current headlines. day parables to teach spiritual truths. and has been active ever since. Rotates study of the books of the Bible with Christian books that enrich our lives. discussion, all in a relaxed environment. Meets in the Thorpe Building, Room 107. New Testament; led by Rev. Dr. Marc Mason. · Rachel Bible Study (for Women)—Resumes January 8th. A lesson is presented by one of the participants each week. This group meets at church in the Thorpe Bldg., Room 105 at 10:00am on Tuesday mornings. · Men’s Fellowship —Resumes January 10th. Biscuit and coffee breakfast and a devotional, followed by a program including guest speakers from the community as well as members of the group. · Naomi Ladies Group: Study of a selected series which is moderated by one of the class members. Meets on the 4th Thursday of every month at 3pm at members’ homes. 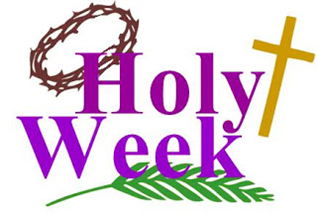 Only a few weeks away until Holy Week! Easter comes this year on one of the latest dates possible; hopefully it will be nice and warm for our community Sonrise service at the Travelers Rest Amphitheatre at 7am! Our Sounds of Joy children’s choir joined our chancel choir at our 11am service for a joint singing of our introit; they’ll soon be proceeding in worship for us on Palm Sunday as they traditionally do, palm fronds in hand. Handbells will be returning to the 11am service on April 7 for our anthem and a few other special features. Our Furman friends will be joining us for April 28 before their school year closes. 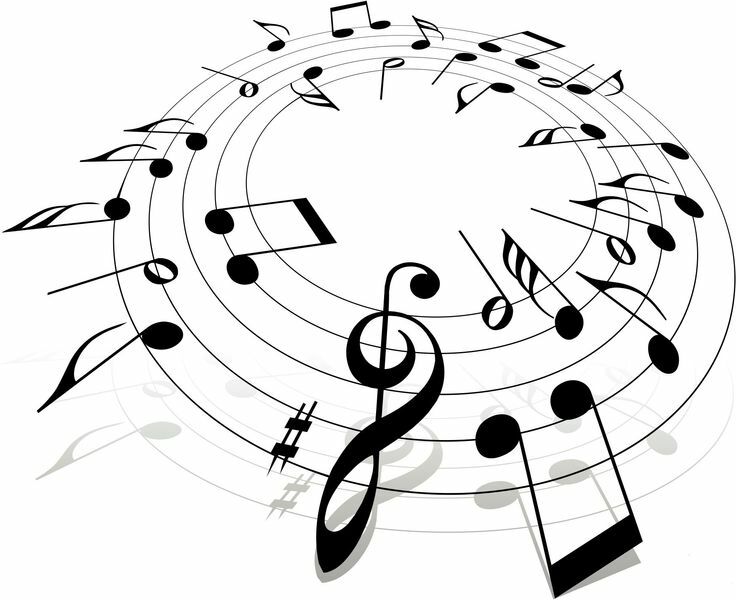 May 5 will be our last One Worship service before the summer, followed by our end of year WNL/Sounds of Joy/Choir picnic May 8 at Paris Mountain State Park. Free food, drinks and children’s activities! 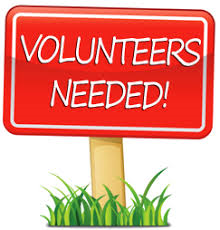 Volunteers Needed – We will need 2-3 people to work the Trinity tent at the Block Party and 15-20 people to man the water station at the church. Needed Items – We are collecting only individually wrapped, pre-packaged single serving snacks such as Chex Mix, trail mix, Goldfish, pretzels, etc. Each snack item will be labeled with the church name, website and worship schedule. 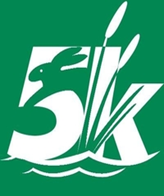 It is our goal to collect and hand out over 2,000 “Trinity Swamp Rabbit Snacks.” Last year’s race participation was over 7,000 registered runners. Please help us reach our goal of “2K for the 5K” by placing your donations in the baskets located at the Welcome Center. Anyone interested in helping during the 5K should contact Brad Pochard at: 864-546-2918. 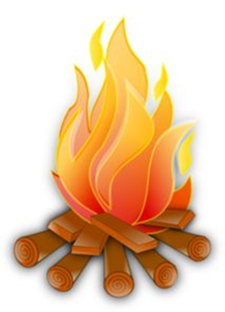 Hamburgers, Hotdogs, Smore’s, and FUN! Bring a lawn chair and enjoy an evening of good fellowship! but you are welcome to use our reserved facilities ALL day. to bring a side item, dessert, or drinks. It can sometimes seem that the news is all bad. 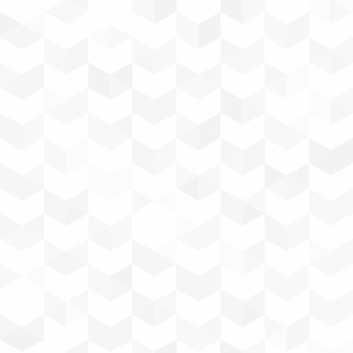 We turn on the television, pick up the newspaper, or open the news app on our phone, and we are barraged over and over with one bit of bad news after another. On Easter Sunday, all of that changes: The news is overwhelmingly good! The tomb is empty! He is risen indeed and that is reason to celebrate! The Discipleship Committee encourages you to join us for one –or all—of the Easter morning worship services at Trinity so that we can celebrate the good news together. We also invite you to join us for a special time of fellowship in McKinney Hall between 10:00 and 10:45 on Easter Sunday morning. Let us rejoice together in the resurrection of our Lord and Savior! 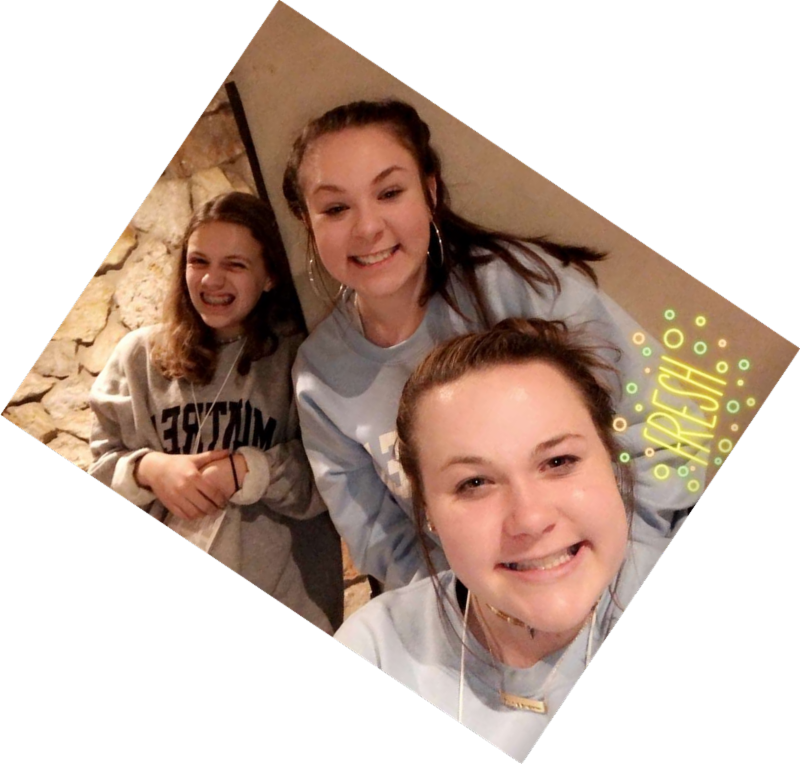 “Come and See” was the theme of the Senior High Mini-Retreat at Montreat and the focus was keeping our eyes on Jesus and not letting ourselves be distracted by the ways of the world. This is so the heart and soul of Youth Ministry! 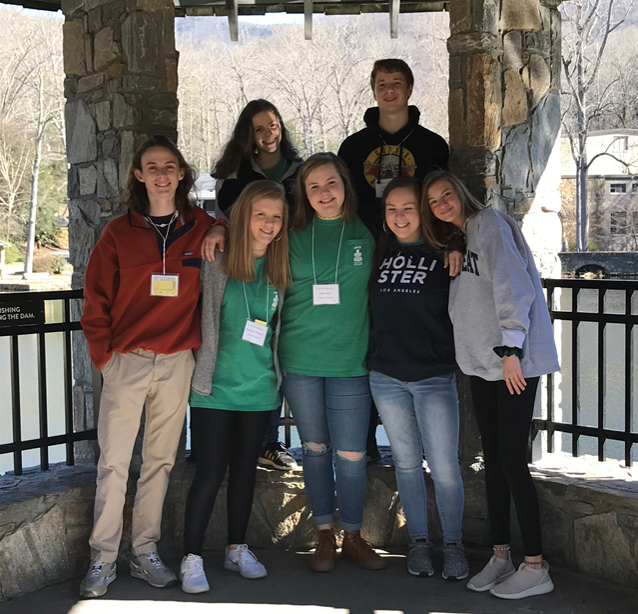 I was thrilled to have eight of Trinity’s Senior High Youth at Montreat to hear this message! Thank you to our drivers: Lark and Alan Waldrep and Kristen Short. Thanks also to my husband, Tom, for spending the weekend with us! Show some love to your Moms and Grandmothers! 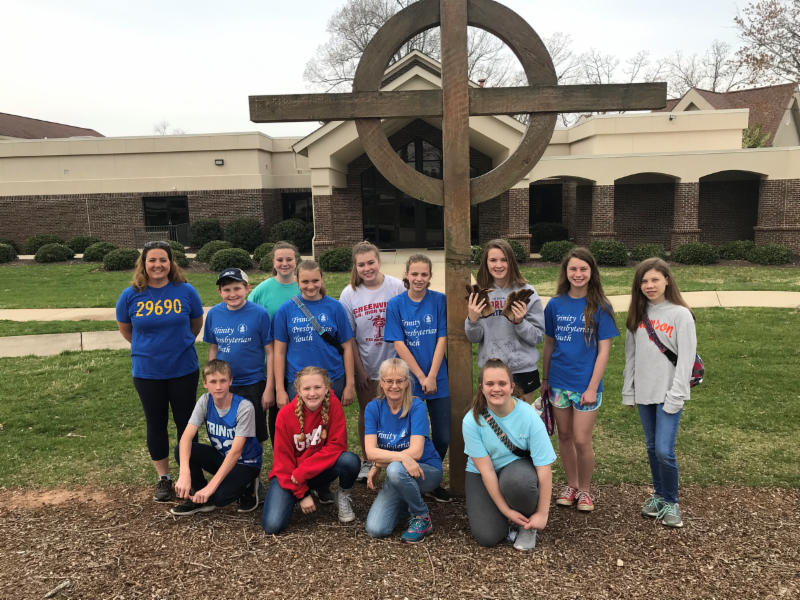 Trinity’s Youth served at Thornwell Children’s Home on Saturday, March 31st. Trinity is about to go wild for our 2019 VBS! 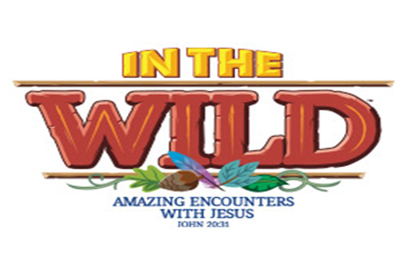 Our theme is In the Wild: Amazing Encounters with Jesus! The children of our church and our community will encounter Jesus in the temple, at the river, on the water, and on the road as they come to understand who Jesus is and why He came to this earth. Our VBS will run June 24-27, 2019, and will be held in the evening. The specific times will be set at our next planning meeting, which will be on Tuesday, April 23 at 6:30 pm . Please plan to attend this meeting if you can assist with VBS this year. We need to assign duties and want to do that in a way that makes use of your gifts and talents. Anything you would see "in the wild!" We will not need these items until early June, but please let Terri know what you have available for use. Thank you for helping make our church look amazing for VBS! Our WNL program in April will be a continuation of our study of the meanings behind the various symbols of Easter. This series will run through April 10th. There will be no WNL on April 17. Join us on Sunday mornings at 10:00 am for CWE and on Wednesdays at 6:30 pm for WNL. CWE is for children in K4-5th grade. WNL is for children K-5th grade. A nursery is provided for younger children. Opening Prayer: Dr. Mason opened the meeting with prayer and a discussion of the Sixth Great End of the Church: Exhibition of Heaven to the World. Declaration of Quorum : A quorum was present. Dr. Mason gave an update on members/others who are sick, in the hospital, and/or recovering. The Lord’s Supper was celebrated on March 3, 2019 at both the 9:00 and 11:00 services. There has been a baptism request: Emma Beebe (Katie Beebe) on Easter, April 21, 2019. Bob Lewis made a motion to approve the request. Lawrence Garabedian seconded the motion. The motion passed. 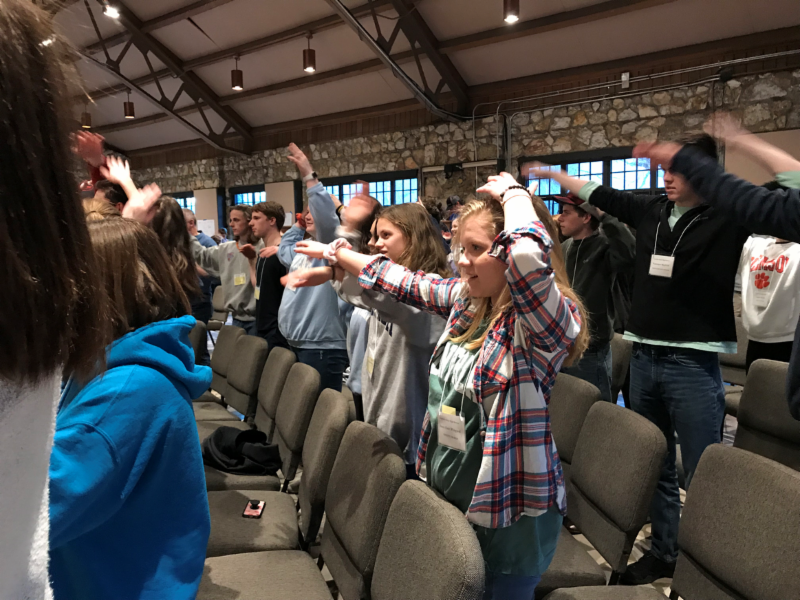 Dr. Mason gave an update from the Fellowship National Gathering that took place on February 19-21, 2019 in Tulsa, Oklahoma. Monthly Budget Reports : Mary Pace presented the February monthly budget reports. She reported that there was a surplus of $7,266 for the month in the operating account. For the year to date, there was a $9,079 surplus in the operating account. She reported there was a surplus of $7,086 for the month in the building fund account. For the year to date, there was a surplus of $2,780 in the building fund account. Mark Chapman made a motion to approve the monthly budget reports as presented. Jeff Wingard seconded the motion. The motion passed. Diaconate Report : Dr. Mason reported that the Diaconate members have met and are continuing their work. Membership Update : As of March 14, 2019, the church has 424 members, of which 416 are resident and 8 are non-resident. Clerk Report : The minutes from the Stated Session Meeting on February 14, 2019 were reviewed and approved unanimously. Benevolence & Mission : Dennis Tavernetti reported that this committee will be having a meeting the following Sunday after the 11:00 worship service. Discipleship : Julie Rogers gave a report on this committee’s work. There was a need for an adult male chaperone to attend the senior high youth retreat this coming weekend. Julie Rogers and Terri Luzynski stated that Terri’s husband was willing to volunteer to attend as a chaperone, subject to session approval. Jeff Wingard made a motion to approve Terri’s husband attending the retreat as a male chaperone. Brad Pochard seconded the motion. The motion passed. Julie Rogers also circulated a draft of a Protection Policy for Children, Youth, and Vulnerable Adults. After discussion of some of the major provisions and issues addressed in the draft, it was requested that that session review the draft before next month’s meeting. Finance & Stewardship : Mary Pace gave this committee’s report. She stated that Dwight Hammack was working on gathering research and information related to planned-giving through wills, trusts and retirement accounts. Mark Chapman reported that there has been work to include in the budget the details of the mother’s morning out program. Long-Range Planning : Bob Lewis reported that the committee met this past Saturday. The columbarium project discussions continue. Personnel & Administration : Sherry Ogletree reported that the committee was continuing its work to fill the office administrator position, which is projected to be vacant after Easter. Property & Grounds: Lawrence Garabedian and Dennis Mitchell gave this committee’s report. 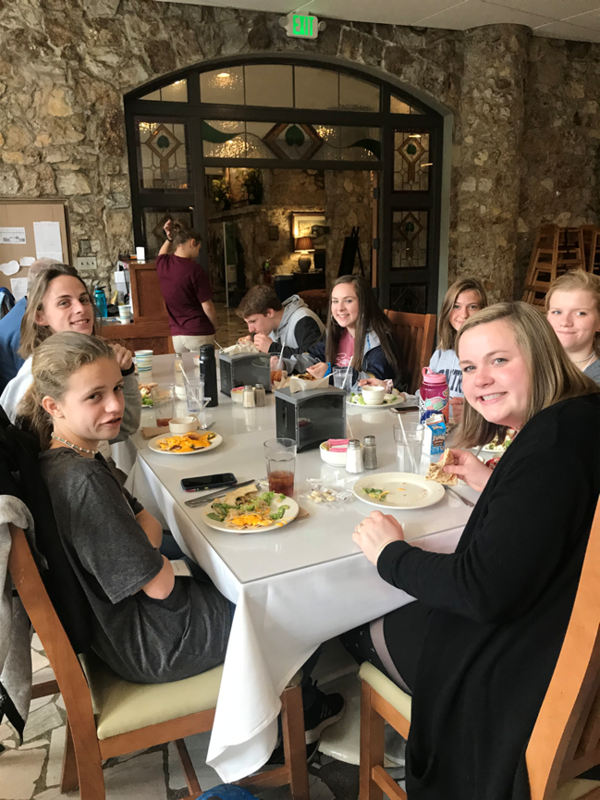 They have worked on or are working on the following: 1) engaging a roofer to fix leaks in choir room, downstairs, and gym, 2) women’s restroom maintenance, and 3) various lighting issues. Spiritual Development & Evangelism : Brad Pochard reported that the committee is preparing for the upcoming 5K race in May. Worship : Jeff Burton reported that this committee met this past Tuesday. There were no issues to report. Motion to Adjourn with Prayer : Mary Pace made a motion to adjourn with prayer, seconded by Mark Chapman. The motion passed. Marc Mason closed the meeting with prayer. Below is a detailed view of the February approved by the Session. 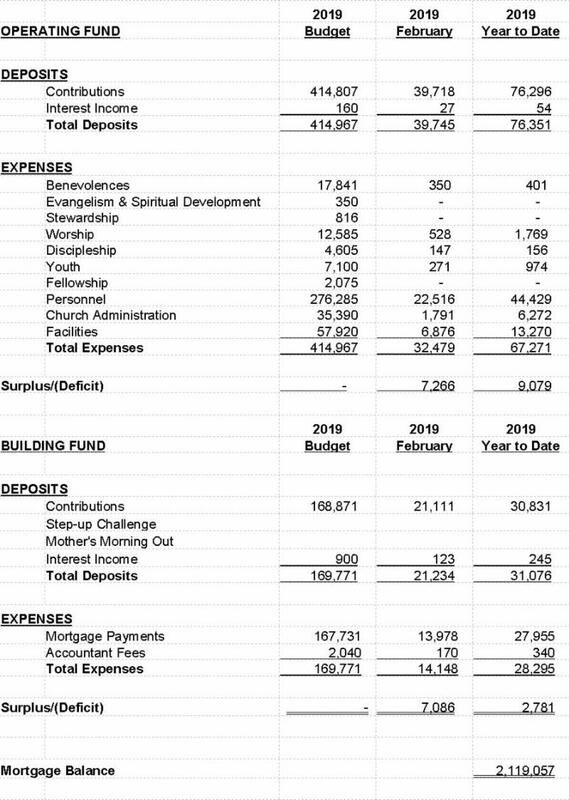 In keeping with transparency of Trinity’s financial position, this view provides more information than the Sunday bulletin version. It will always be two months in arrears due to the fact that the newsletter is always published before the Session meets. 2) On the menu in the upper right hand corner between the options CALENDAR and CONTACT US you will see an option entitled MEDIA. 3) Roll your mouse over MEDIA and a menu should appear. 5) It will take you to the iTunes website where you are now on the preview page for the Trinity Podcast. 6) Click the blue button that reads VIEW IN iTUNES under the green Trinity logo on the left side. 7) You will receive a prompt to open iTunes. Or if you don’t have it, you will be prompted to download iTunes. 8) For Windows/PC Users: if you already have iTunes on your computer and receive a prompt to download it again, click the gray button to the left of the blue download button indicating that you already have iTunes on your computer and you wish to sign in. iTunes will then open to the Trinity Podcast Page. When you reach the podcast page in iTunes, click SUBSCRIBE under the green Trinity logo on the left side. on the right hand side of the sermon you’d like to have a copy of. 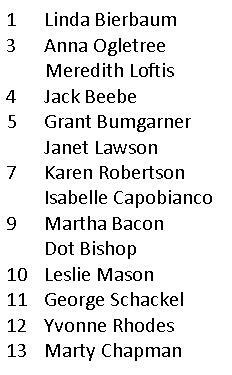 please call the office so we can update our list! Email trinity@trinitytr.org or call Myriam at 864-834-9897. If you would like to sign up to provide flowers for the Sanctuary on a specific Sunday, please call the church office, 864-834-9897, for available dates. 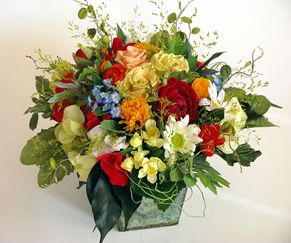 Flowers can be given in memory of or in honor of a loved one and it will be noted in that day’s bulletin announcements.